Dan Promislo played on the talent rich Overbrook High School Public League Championship team in 1949-50, and demonstrated enough potential to be offered a number of basketball scholarships. He decided on Drexel University, and it proved an excellent choice for both Dan and Drexel. He played on the Drexel Freshman team in 1950-51 (Freshman weren’t then eligible for the Varsity), and established a record by scoring 39 points in a single game. Dan was on the varisty the following three years, and was elected Captain in his Junior season and Co-Captain in his Senior year. He established himself as an outstanding all around player, setting single season and career scoring records, and single game, single season and career rebounding records, while being second in assists all three seasons, and considered the best defensive player on the team all three seasons. He is most proud of the team’s record in his Senior year, a winning percentage that stood for forty years. Dan was selected the Small College Player of the Year, and was inducted in the Overbrook High School Hall of Fame, the Drexel Hall of Fame, and the Colonial Athletic Association Legends Hall of Fame. He was chosen as the Scholar/Athlete of the Year in 1954 by the Philadelphia Physical Education Teachers, and in 2000 was chosen for the Drexel University All-Milennium Team. 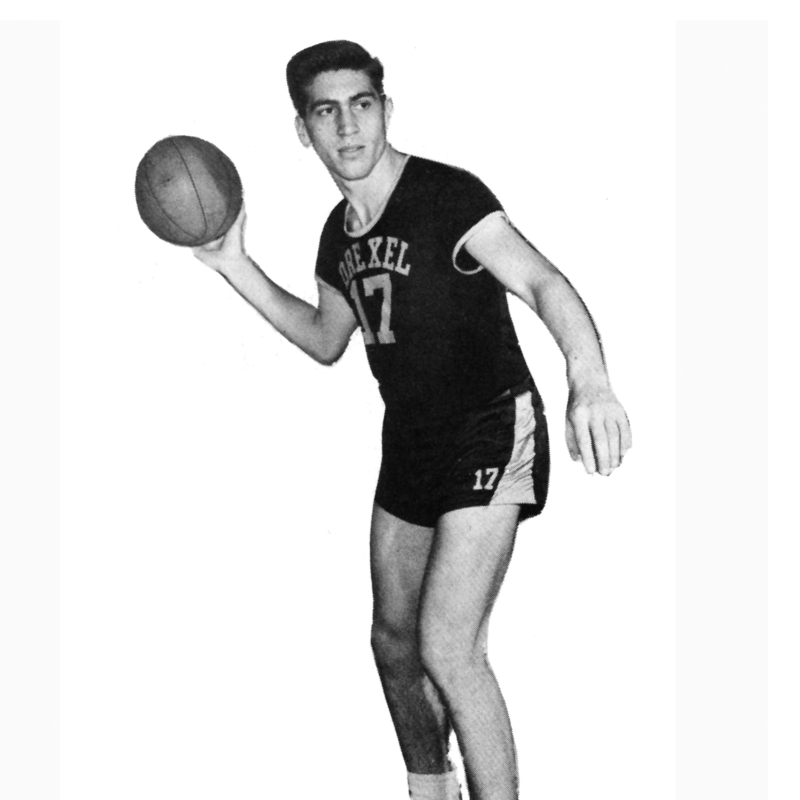 After his Senior year, Dan coached the Drexel Freshman Basketball Team in 1954-55 and from 1956-61, and during that same time served as the sole Drexel Assistant Varsity Coach to his high school and college coach, the legendary Sam Cozen. He continued to play in various independent leagues in Philadelphia, and was chosen Most Valuable Player in the Brith Sholom League. After his coaching career, Dan went to the University of Pennsylvania Law School, and then joined the law firm of Wolf, Block, Schorr and Solis-Cohen, where he became a Senior Partner and subsequently Managing Director.